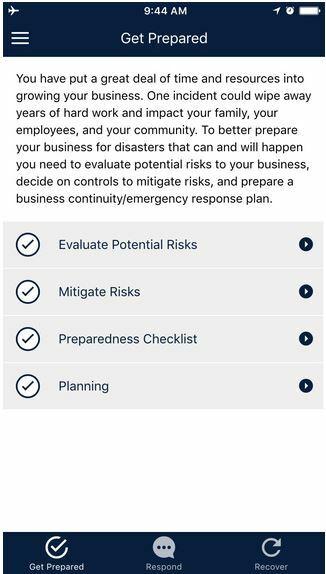 Florida SBDC Network Headquarters (Pensacola, Fla.) – The Florida SBDC Network, the state’s principal provider of business assistance, is pleased to announce the release of a new tool to help businesses prepare, respond, and recover from natural and man-made disasters. 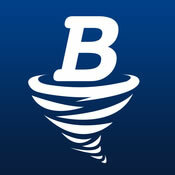 Bizaster, available in both English and Spanish, is a mobile disaster assistance app for Android and iOS. The application features risk assessments, customizable checklists, and other resources in a user-friendly and accessible format and is available at no cost. Last week, the National Oceanic and Atmospheric Administration (NOAA) revised the 2016 hurricane season prediction to increase the number of predicted storms. Forecasters expect the 2016 season to be the most active since 2012, with a 70 percent chance of 12 to 17 named storms. The original outlook predicted 10 to 16. 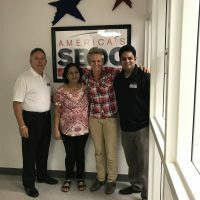 In an effort to assist Florida businesses better prepare, recover, and respond to disasters, the Florida SBDC at Florida International University (FIU)—a member of the Florida SBDC Network—recently partnered with the FIU Extreme Events Institute to develop the app. Originally developed for use in Latin America and the Caribbean, the app was funded by the U.S. Agency for International Development Office of Foreign Disaster Assistance. To view a short video about the app, click here. Bizaster can be downloaded from the App Store or via Google Play. The Florida SBDC Network, the state’s principal provider of business assistance, is celebrating its 40th anniversary in 2016. Since its inception, the Florida SBDC Network has nourished a statewide partnership between higher education and economic development to provide emerging and established business owners with management and technical assistance, enabling overall growth, increased profitability, and economic prosperity for the state. In 2015, the initiatives of the Florida SBDC Network resulted in 32,398 jobs created, retained and saved; $4.8 billion in sales growth; $276.8 million in capital accessed; $301 million in government contract awards; and 404 new businesses started. A statewide network of over 40 centers, the Florida SBDC is funded in part by the U.S. Small Business Administration, Defense Logistics Agency, State of Florida and other private and public partners, with the University of West Florida serving as the network’s designated lead host institution. The Florida SBDC Network is nationally accredited by the Association of SBDCs.